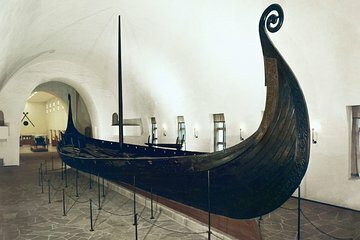 Step back in time with a visit to the Viking Ship Museum, where you’ll see three ships over 1,000 years old. The vessels and their contents were well preserved thanks to their status as burial ships. Visitors can admire grave goods ranging from everyday objects to elaborate silks and sleighs. The Museum features a film that follows a Viking voyage, an audio guide for smartphones, and occasional special activities.